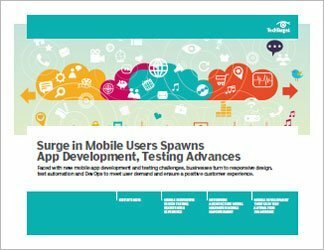 The rapidly changing consumer landscape spawned mostly by the proliferation of mobile device users and their multiple channels of communications is forcing companies to rethink their application development and testing strategies. 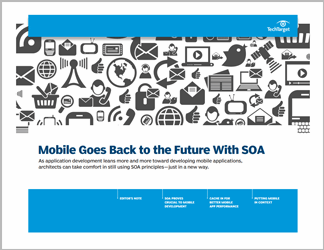 But most enterprises don't always have a firm grip on what mobile users need. Traditional strategies don't necessarily account for mobility; rather, they account for mobile devices only. 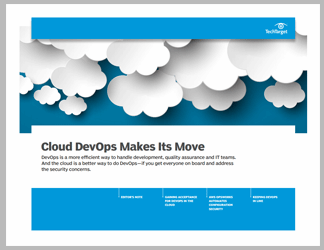 As a result, business executives and development teams are turning to advanced techniques like mobile app test automation, responsive design and DevOps to deliver a faster time to market, quicken the pace of iterating new changes and ensure a positive customer experience. 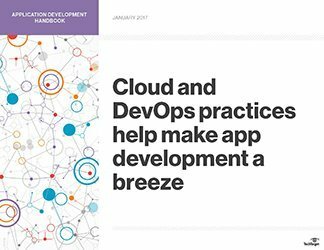 This handbook examines how business and technology leaders are adapting their mobile development and test strategies and using DevOps to address them. In the first feature, journalist George Lawton reveals that leading enterprises are beginning to employ responsive web applications to streamline app development across platforms and attract new users. He documents how one company in particular is using a mobile-first strategy to draw new customers. In the second feature, consultant Tom Nolle says businesses put a lot of effort into mobile for their employees but still fall short and suggests that approaching mobile with an enterprise architecture model may be the answer. 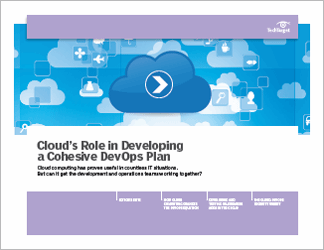 And in the third feature, Lawton explains that a good mobile app test strategy needs to align with the overall goals of the business, and a mobile test automation framework can enable continuous integration, testing and delivery in an overall DevOps strategy.